The next version of Microsoft windows is going to be launched it is named as Windows 7 or Windows vienna.It is under trail and you can use this trail.Microsoft expects the feed back from this trail. 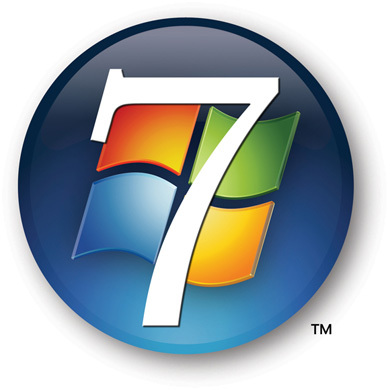 The successor to Windows Vista now has a name: Windows 7. Although the new operating system is not due to hit store shelves until late next year, Microsoft felt that now was the time not only to unveil the name of the next version of the world’s most-used operating system but, more importantly, the rationale for the abandonment of the “aspirational” naming scheme of recent versions of Windows. But if you use Vista now, you don’t need to wait over a year to get a Vista-like version of Windows that’s leaner, less obnoxious, and indeed even snappier. There are steps you can take whip Vista into shape right now. What you end up with won’t exactly be Windows 7, but it will be a whole lot more livable than the Vista you use now.UAC is the feature of Vista that users love to hate, and with good reason. It’s responsible for those dialog boxes that read “An unidentified program wants to access your computer” any time that you try to open a file or run a program that could install itself or change files on your computer. The trouble is that 95 per cent of the time, you know exactly what you’re doing when this dialog box pops up, and therefore it amounts to just another annoyance on your way to getting something done. It’s possible to disable UAC altogether, but if you do, you’ll be removing an important security component from Vista, leaving yourself more vulnerable. Instead, you could turn to a new, free tool from Symantec called Norton UAC Tool (http://www.nortonlabs.com/inthelab/uac.php), which gives you more control over which types of actions UAC prompts you about. Aero – the Vista interface feature that enables semi-transparent windows – is pretty, but it’s also a major resource hog. It’s so demanding, in fact, that the edition of Vista called Windows Vista Basic, which is designed to run on less powerful machines, doesn’t even include it. Even if your copy of Vista does, you might want to disable it in order to regain some performance. To do so, right-click a blank area of your desktop, and select Personalise from the pop-up menu. Then click Windows Colour and Appearance. From the resulting Appearance Settings dialog box, select Windows Vista Basic from the “Colour scheme” list box, and click OK. You’ll still have the look and feel of Vista. But without the Aero transparency effects, your PC will seem more responsive.